Since 1951, The Stempky Family has been providing fresh cut Christmas trees & custom tree services for you and your family. Our trees are cared for by hand and given the love and attention they deserve. 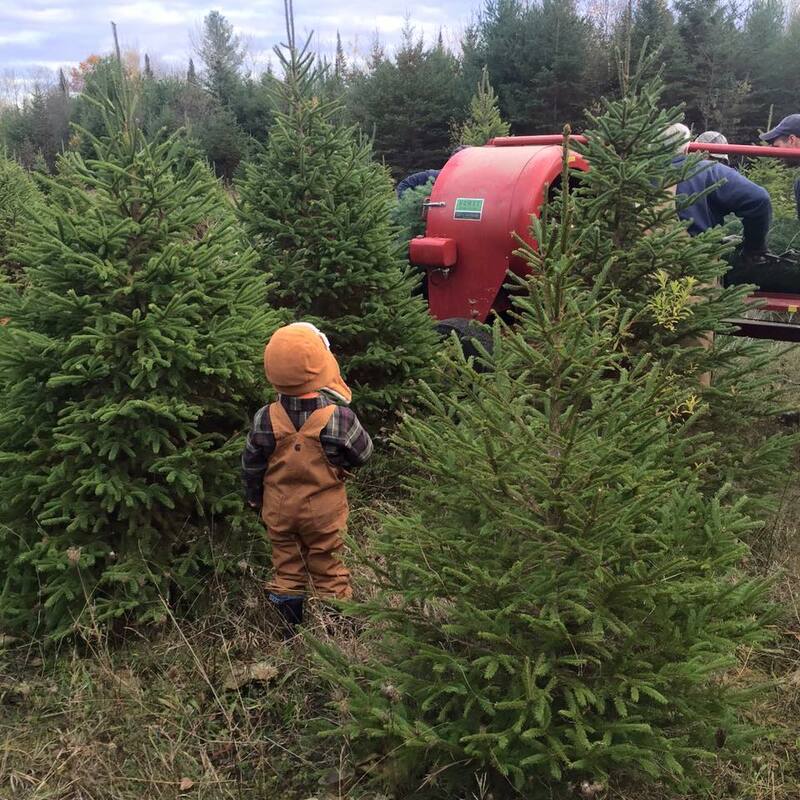 Whether it's a Christmas Tree that becomes part of your family holiday tradition, or a new addition to your landscaping and homestead, we pride ourselves on quality work, healthy trees, customer service and an unrivaled Northern Michigan work ethic. In 1951 Stanley Stempky first purchased a plot of land in Cheboygan, Michigan. Those 500+ acres were beautiful and rolling with hardwoods and open valleys. That first year Stanley hand-planted hundreds of evergreen trees. Years later, Fred would take over the family business with Stanley's passing and raise his 4 girls at the tree nursery–continuing the longstanding tradition of Stempky Nursery Trees being an integral part to the Holiday Tree market in both Northern & Southeastern Michigan. Today, Fred still runs the farm in Cheboygan, but each year when the calendar flips to fall you can find the entire family out harvesting trees and preparing for the busy season. On these crisp November days you’ll find four generations of Stempkys working to get your holiday tree prepared for you and your family. Misplaced your Tree Care Postcard? Not to worry. Click below and grab another! The most important part about choosing a fresh-cut tree for your family is the experience. Our family will make sure when you purchase from our lots you are taking home a healthy, beautiful tree that will last the holiday season. We offer a multiple Christmas Tree varieties including Spruce, Fir and Pine and we sell trees that range in size from 3 feet to 15 feet and beyond. Looking for a special variety or size? Chances are we can help you, just let us know. Wreathes and garland more your style? We have those too. Ready for the best Christmas Tree you’ll ever decorate? Meet us in our fresh tree lot in Livonia, we'll be waiting for you! Sturdy branches and tightly packed needles make Fir trees ideal for ornament duty. If you're after that festive holiday fragrance, a Fir will serve you well. Their needles also have good retention and have a "bushier" appearance than other trees. Firs are one of the top major Christmas tree species in the U.S.
Soft and fluffier than your average Christmas tree, a pine tree just may be the prettiest of the bunch. The longer, softer needles paired with good retention help the Pine tree's popularity. However, keep in mind they have very little fragrance and due to their more delicate nature, heavier ornaments are not ideal. We offer custom digging (balled and burlap) available for both wholesale and retail for all trees in sizes 3 to 12 feet. We also offer custom yard planting work available in the Cheboygan area. Shipping of dug trees is available depending on quantity and location. Need more information? We'd be happy to help. Contact us below for a custom quote. Special order, question we didn't cover, or just want to chat? Let us know how we can help! *NOTE: We prefer (and are speediest with) a good old-fashioned phone call or a new-fangled text. Email is the last resort, but if that's your preference, contact us below and we will respond within the week.